When considering off-road modifications to your vehicle, off-road armor and especially sump and radiator protection should be high on your priority list. A Wildog Accessories Bash plate will provide you with piece of mind. Our bash plates replace the flimsy standard OEM cover plates with a product that is purpose built to protect your vehicle against the harsh African terrain. 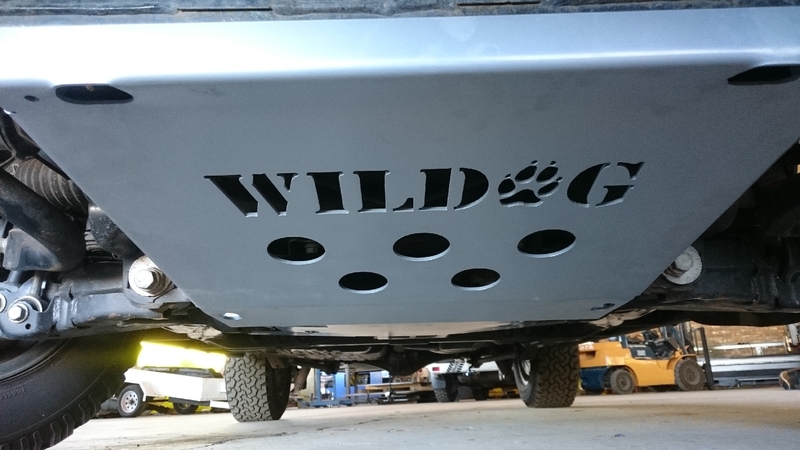 Wildog Bash plates are manufactured from 4mm Steel. E-Coated and powder Coated for corrosion resistance and a professional finish to match the sophistication of a modern 4 wheel drive vehicle. Simple bolt-on fitment, using OEM fixture points. Removable access covers for OEM service points. Recessed fixture points to protect bolt heads. CAD designed, High Definition CNC plasma cut and CNC bend bash plates are manufactured from a single piece of steel.